Order your Campus T Shirt Quilt by using the CTSQ Order Form (pdf) from this page. 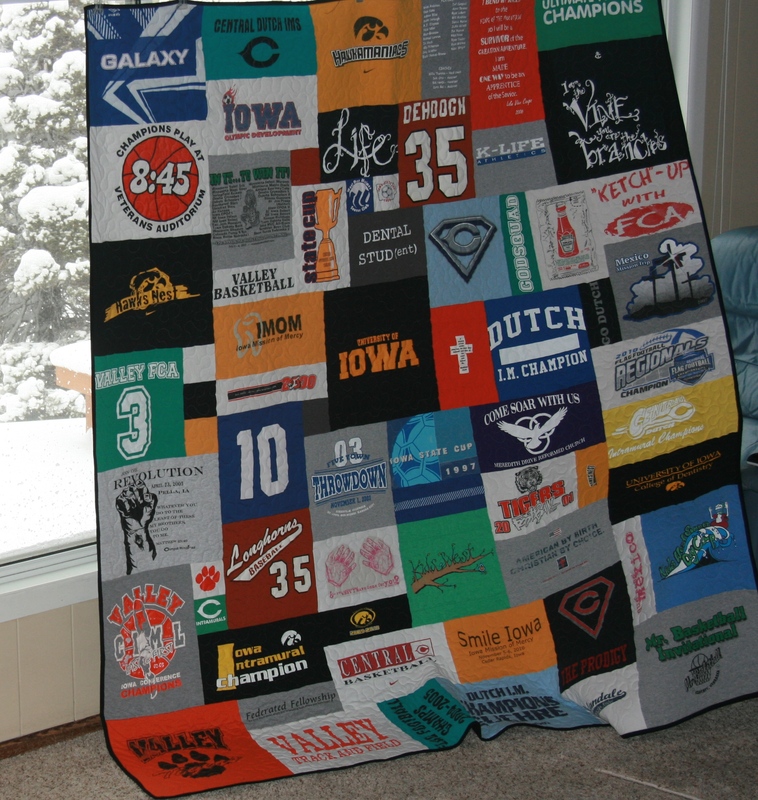 Hello, I’m Cindy Swanson owner of Campus T Shirt Quilt in Clive, Iowa. Since 2009, I have created hundreds of beautiful, keepsake, t-shirt quilts. All your shirts are cut, and sewn at my house. It’s a safe, clean, smoke free, and pet free environment for your valuable memory t shirts. If you haven’t already seen it, take a look at our photo gallery to view our high quality quilting and creative designs. To order, please download, print, and fill out the CTSQ Order Form (pdf). The order form contains pricing and design details. Box the order form with your t shirts and a $100 deposit which will be deducted from your total price. Contact us to let us know your shipment is coming, and where it is coming from. Give any instructions there or call if you’d like to visit about colors, sewing patterns, or special shirt placement. We can’t wait to design your collection of shirts into a great and casual t shirt quilt! Your shirts and $100.00 deposit will secure a time on our quilting schedule. We look forward to making the best gift ever, a Campus T Shirt Quilt!